On Friday 1st February the team at Beeches, our specialist residential service in Retford for adults with autism and learning disabilities, held a coffee morning to celebrate Dignity Action Day. They also took this opportunity to host a parent support group. Dignity Action Day is an annual opportunity for health and social care workers, and members of the public to celebrate people’s rights to dignity and provide a memorable day for people who use care services. Residents of the service were involved in planning the event and chose to host a disco during the coffee morning. They also contributed towards planning the food they would like. Two other local Cygnet services, Elston House and Birches, joined in for the coffee morning. The focus of the parent support group was to look at what the team at Beeches already do well in terms of promoting and ensuring residents dignity and to reflect upon areas of improvement. Parents and carers wrote their comments onto a dignity tree which will provide focus and inspiration for improving care. 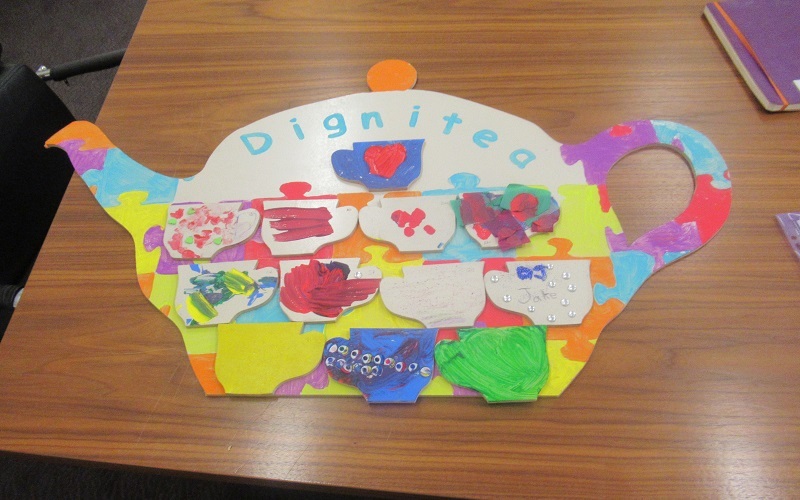 Thank you to all of the staff who contributed towards the day by committing to becoming dignity champions through the National Dignity Council and who have also dedicated some of their own time to create displays in readiness for the event.